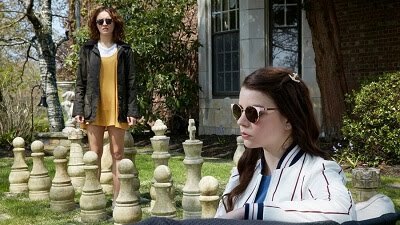 I’m excited to be attending the film festival at South by Southwest for the second time, and I’ll be posting reviews throughout the week as I see as many movies as possible! It’s difficult to live life truly in the service of another person who does not reciprocate that behavior. Children are expected, even legally, to be dependent upon their parents until they have reached a certain age or achieved alternate independence, and there is a likelihood that the roles may be reversed later in life if faculties and capabilities are lost on the part of the aging or sick parent. Yet there are some circumstances in which children are required to take care of their less able parents, destined to remain faithful and tethered to them rather than to explore their own untapped potential elsewhere. Mickey (Camila Morrone) lives in a very small Montana town with her father Hank (James Badge Dale), a veteran who spends most of his time drunk or taking the many medications he receives and often has his daughter refill for him. When she’s not at school or work, Mickey navigates her relationships with two classmates, Aron (Ben Rosenfield) and Wyatt (Calvin Demba), while thinking ahead to the future she’s never been sure she could have, secretly applying to a college in San Diego without any idea of how to broach the topic of leaving her father. The tone of this film and the relationship of its protagonists is set immediately when Mickey is brought to the police station to bring her intoxicated father home and, after being told by the sheriff that no bail money is needed as long as she drives home, she smiles and tosses Hank the keys. There are a number of moments in which it’s extremely clear that he’s holding her back and preventing her from enjoying her life, including an ill-fated hunting trip with Wyatt. Mickey is mature enough to understand the pain her father is enduring and innocent enough to believe that her sacrifice may be necessary for his continued stability. 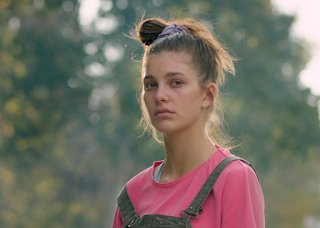 Morrone, who impressed in a more comedic turn in “Never Goin’ Back” last year, turns in a layered and dynamic performance as Mickey, expressing an equal amount of frustration and submission to those around her. Dale, who has been playing darker parts like this one in films such as “Donnybrook,” demonstrates great talent that should earn him more roles. This is a sensitive and engaging film with a premise that might not seem overly complex but still works extremely well.